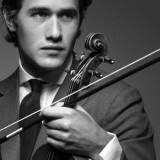 Siem is a violinist of extraordinary talent and exuberance who started playing the violin at three years old after he heard a performance by the late Yehudi Menuhin. Now a well respected muscian, Charlie has a prolific touring history and in 2011 he will give recitals in the USA, Norway and the Royal Festival Hall as well as recording his new album for Warner Classics at Abbey Road Studios with the London Symphony Orchestra. Do you have a grooming routine? I don’t have a specific routine as such other than showering and shaving. I do use Avene’s products though as I have quite dry skin. As a violinist do you need to take specific care of your hands? I am probably irresponsible in that respect, I don’t do anything unusual to protect them! There is a process of mental preparation to get me in the right zone for a performance and afterwards it depends on whether I am still charged from the concert in which case I have to stay up late and use up the rest of my energy. Sometimes I have given everything and I have nothing left to do but shower and crash straight after! 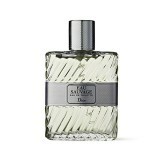 I don’t really use a specific fragrance although I have always liked Eau Sauvage by Dior. My dad used to wear it. How do you keep your hair looking sharp? I either gel it back with regular water gel or I use matt wax when it is dry for a different effect. What does being well groomed mean to you? To me being well groomed is about being clean and smart – keeping it simple. 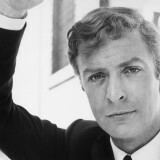 I always liked Michael Caine in the Italian job. Patrick Bateman is a little overkill!! 1. 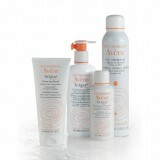 Avene Skin Care Products stockists enquiries 01582 820165 or www.avene.co.uk.